When I heard about this race I put it straight into my diary but in the end I never actually registered in advance. Even three days beforehand I wasn't going to run it, but at the last minute I decided I felt fit enough to attempt what was described as a challenging off-road course. The first thing I did was contact @rencestar to see if he fancied joining me and even though he had only just run a tough 10k a few days earlier he was keen. So I emailed the race organisor and had us both added to the start list. 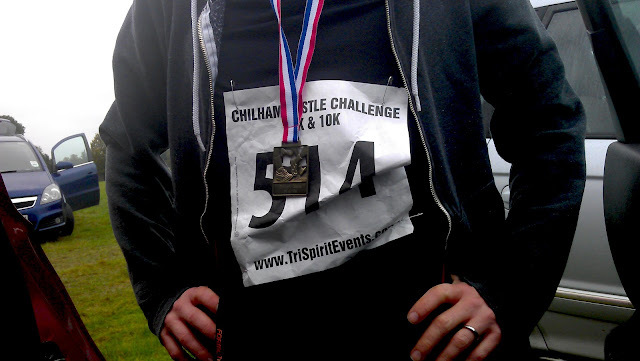 On the day I had a bit of trouble finding the entrance to Chilham Castle, I think this was mostly down to the bad weather and me not seeing the Tri Spirit Events flag blowing in the wind. Anyway, eventually we found the entrance and found ourselves a nice spot to park. The weather was pretty dire, it had been raining all morning (and still was). 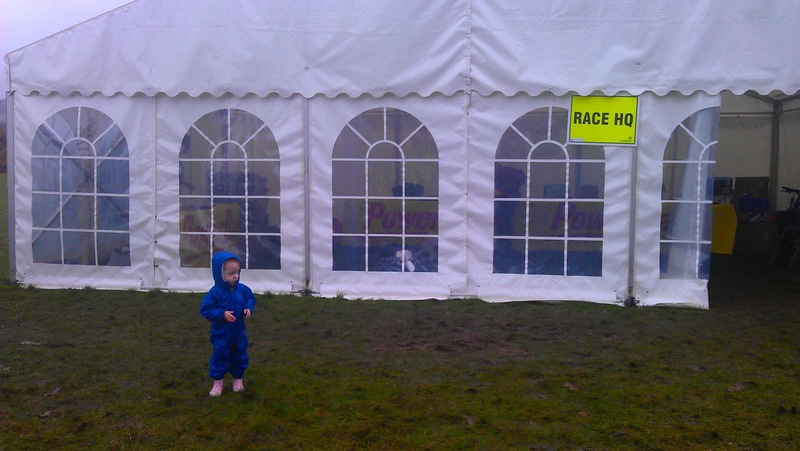 It was windy, so much so that as I was picking up my race number and timing chip the men's changing gazebo was blown over and rendered unuseable. Terry arrived soon after and we began to discuss the course conditions as we headed over to pick up his race number. Whilst in race HQ we were informed that the course had been changed due to unsafe sections of the original route. So the original route of 2 laps of 5km became 4 laps of 2.5km - anyway, that was the plan. I had brought a selction of clothing options with me and in the end decided to go with my base layer and short sleved t-shirt. At 2:05pm the race was underway and off we went into the grounds of Chilham Castle. After a few minutes I realised that I had overdressed and really didn't want to run the whole race like this, so as I approached the end of lap 1 I stopped and removed my base layer and handed it to Dani, who was braving the wet and windy conditions to support us. The course was certainly a tough one, it was all off-road and contained plenty off ups and downs, including an energy zapping final kilometre at the end of each lap. 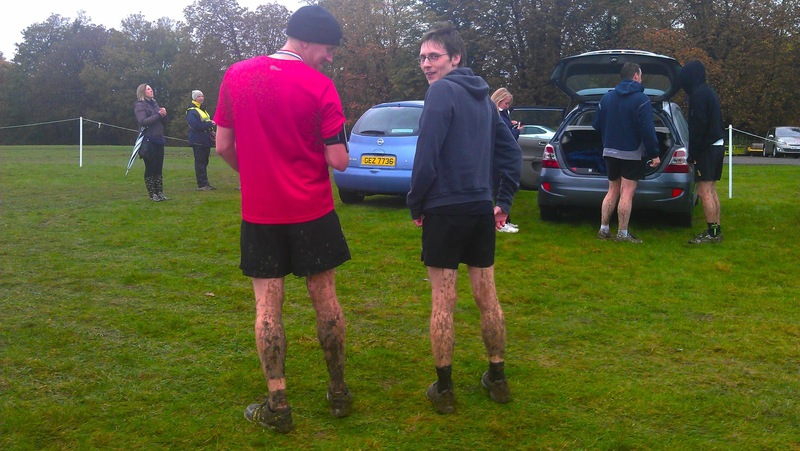 The conditions ranged from muddy to steal-your-shoes sticky bogs. 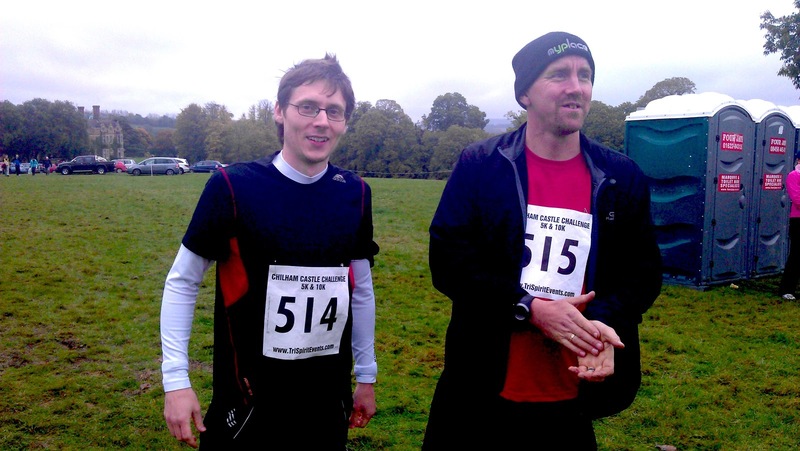 I probably ran the first lap slightly too fast, which resulted in a miserable second lap. 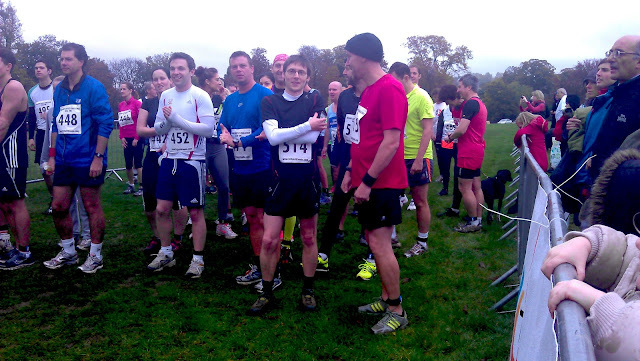 However, I had partially recovered and really enjoyed the third and fourth laps. I even almost caught up with the guy in front of me near the end. If I had made a better choice of clothing at the begining I would have finished a place higher and about 30 seconds faster. At the end I (and Terry, who finished a few minutes after me) checked our GPS data and found that the revised course had been longer than the original 10k route, we both had it recorded as just over 11.5km. Neither of us minded that the course was long as it was throughly enjoyable.